Ah winter, time to pull on the PJs and slipper socks, curl up with a hot drink and catch up on some TV. Actually wait nah that sounds rubbish, LOADS of European parks open their gates for some winter magic during the UK closed season. So grab your passport and pull on your scarf and gloves, here's five theme parks you can visit this winter! Because of course the daddy of European parks is open for winter. 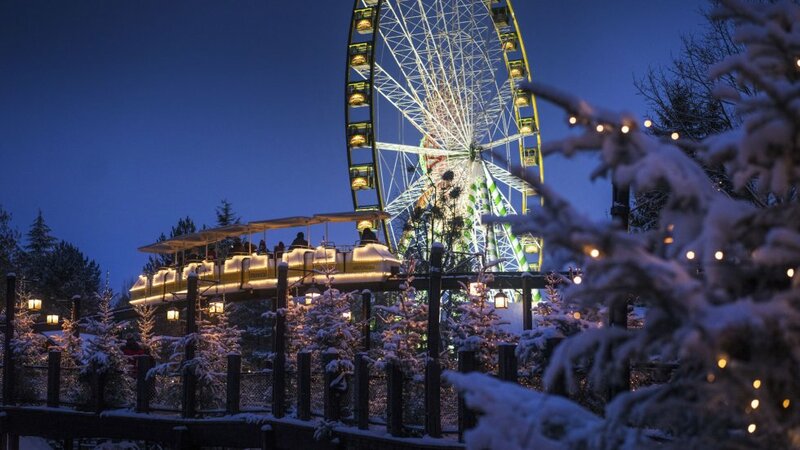 Not only do you get to freeze your face off on the coasters as you fly through the bitter German air, you can also enjoy seasonal activities to maximise on the wintery goodness. Check out the Medieval Christkindl Markt in Germany or embarrass yourself skidding around on the skating rink in Scandinavia - the park is literally a winter bucket list all crammed into one place! 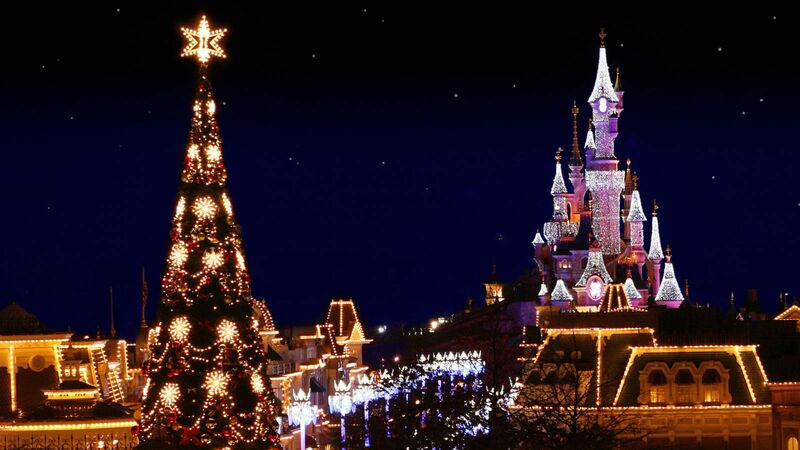 Nothing says winter magic like seeing the Disney castle all dressed up for Christmas. OK, you have to suffer through the sickly sweetness of being at Disneyland for Christmas time and maybe that's not your style, but remember most of their coasters and rides are inside, so even if you want to go for thrills alone at least you're not going to end up frostbitten and praying for a hot chocolate. 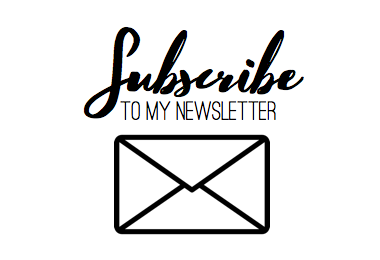 And if you ARE into full blown Disney Christmas madness then you can get your fill with seven seasonal shows including a Christmassified version of the legendary Dreams night time show. That and because they're desperate for you to visit there are LOADS of good deals around including travel and hotel too so it's super easy to make a weekend of it! Let's face it, the German's are kind of king when it comes to Christmas and Phantasialand is no exception. At their Wintertraum event, you can ice skate under a MASSIVE Christmas tree, indulge in a warm mulled wine or wintery punch and see the park lit up with thousands of sparkling lights. Finally, you can end your day with a spectacular ice show as well as fireworks every single day during the event! But the best bit? ALL of the rides except the rapids River Quest are open, so it's pretty much like a normal operating day with just one attraction down. 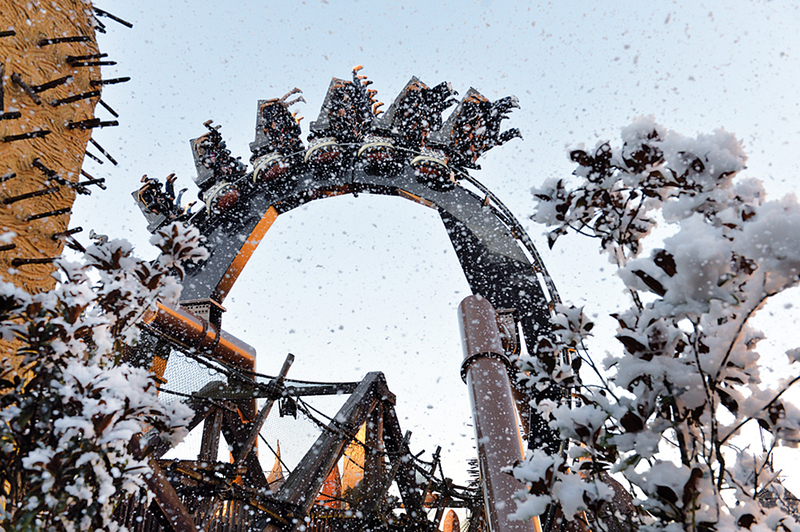 Phantasialand has a great mix of indoor and outdoor rides alike, so you never have to worry about getting too cold as you whizz around the track! 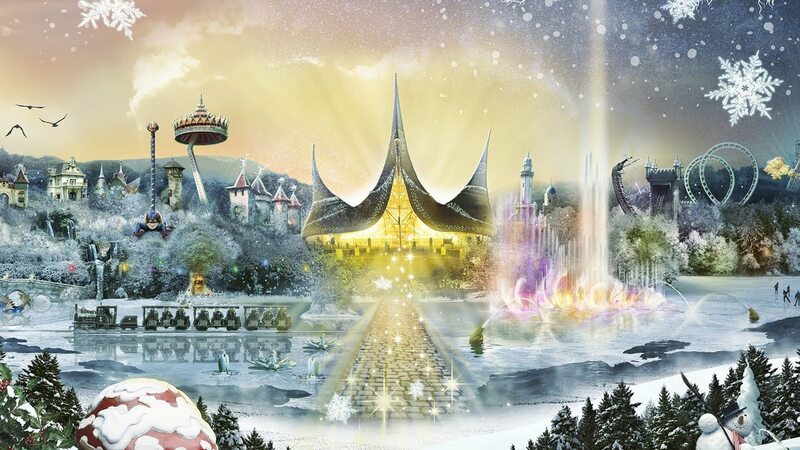 Number one recommendation if you want winter magic is to head to Winter Efteling. Similarly to the other parks, unless there's extreme weather everything except the water rides will be open. On top of this there's indoor ice skating, snow slides and ski paths for the full winter experience! Once the sun goes down and the weather gets colder, bonfires pop up all around the park where you can gather around with a hot chocolate in hand listening to one of the Efteling choirs. And if you're lucky enough for it to snow during your visit there really is nothing in the world like wandering through the fairytale forest in a blizzard! If you want Christmassy goodness but can't be dealing with the cold, PortNavidad at Port Aventura is your place! The park looks gorgeous decked out for the holiday season and believe me when I say every inch is covered with decorations. All the big rides are open, again except for the water rides, and throughout the day there are a ton of Christmas themed shows and parades as well as an ice skating rink where you can skate with Woody Woodpecker himself! The park blares Christmas music from every corner (in fact I'm humming their ridiculously catchy Christmas song to myself as I write this!) and you get to enjoy it all with just a light jacket. The hotels also deck themselves from head to toe in Christmas glam and the prices are rock bottom this time of year, so a great time to nab a bargain for some resort luxury too! Ha, what closed season? No need to mourn in November when this lot are open for festivities and often for a much cheaper price, and you get all those winter extras to boot! No excuse not to book now!